This post is part of our blog series that announces the publication of selected new books in African American History and African Diaspora Studies. 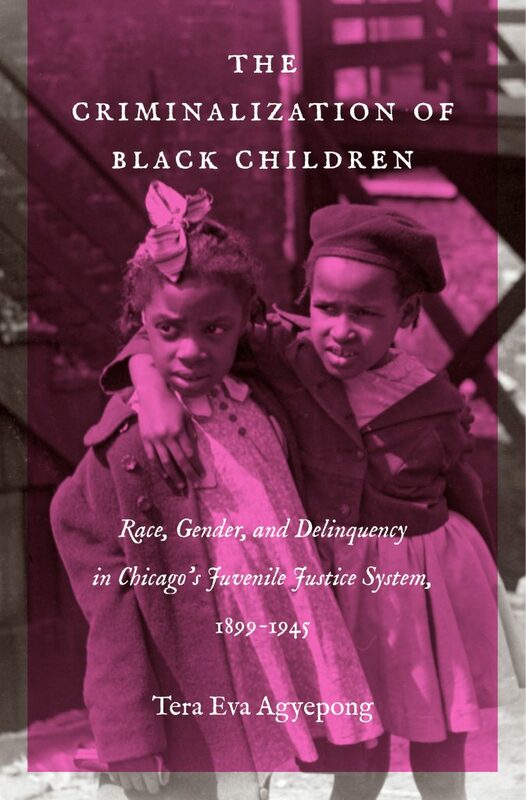 The Criminalization of Black Children: Race, Gender, and Delinquency in Chicago’s Juvenile System, 1899, 1945 was recently published by the University of North Carolina Press. 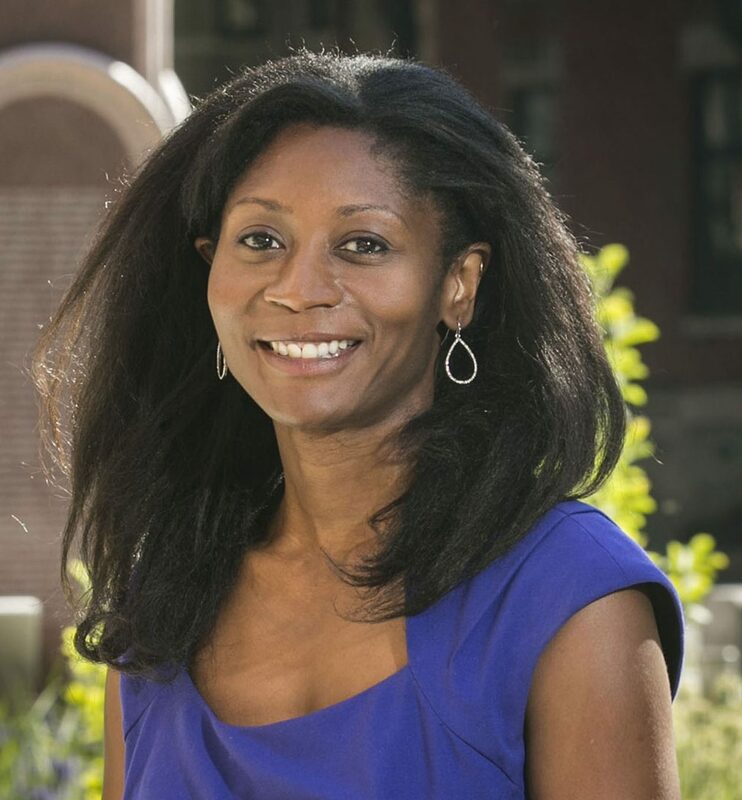 The author of The Criminalization of Black Children is Tera Eva Agyepong, an Assistant Professor in the Department of History at DePaul University. She serves as the director of both the pre-law concentration and history of law minor at DePaul University. Agyepong completed her JD and PhD from the School of Law and Department of African American Studies at Northwestern University. Her research and teaching interests include African American History; Race, Gender, History and the Law; Legal History; Criminal/Juvenile Justice Systems; and Urban History. She is a scholar collaborator with the Prison Public Memory Project on scholarship about race, gender, and the history of confinement of women and girls in New York and Illinois. Her new book The Criminalization of Black Children expands the narrative of racialized criminalization in America, revealing that these patterns became embedded in a justice system originally intended to protect children. In doing so, the book complicates our understanding of the nature of migration and what it meant to be black and living in Chicago in the early twentieth century. In addition to The Criminalization of Black Children, she has also published scholarly articles in Journal of African American History, Gender and History, and the Northwestern Journal of International Human Rights. Melissa N. Shaw: What are the principal findings or arguments of your book? What do you hope readers take away from reading it? Tera Eva Agyepong: The Criminalization of Black Children reveals the ways in which racialized notions of childhood innocence and delinquency undergirded the evolution of juvenile justice in Illinois. The narrative begins its journey in early twentieth-century Chicago, a city in the midst of rapid, often turbulent change. Chicago was the epicenter of the Progressive child-saving movement and the home of the nation’s very first juvenile court. Like many cities across the urban north, Chicago was also in the midst of reconfiguring and rearticulating conceptions of “whiteness’ and “Blackness” as immigrants from southern and eastern Europe, as well as Black migrants entered the city. This case study of African American children suggests that discourses of race and rehabilitation combined with the institutional apparatus of the juvenile justice system to facilitate a process of the racialized criminalization of Black children. Intersecting notions of race, gender, and sexuality, in light of the city’s changing demographics due to the Great Migration, lay at the heart of this historical narrative on juvenile justice in Chicago. The book’s account of the ways in which the very presence of Black children—children who were not among those initially imagined to need ‘saving’ by the juvenile justice system—reveals that the criminalization of Black bodies was not geographically limited to the Jim Crow South, or temporally limited in the North to the late twentieth century. In cities like Chicago, race-based criminalization was alive and well in the “promise land” of the urban North and a key component of urban Black life long before the end of World War II and the advent of the Civil Rights movement. This narrative about Black children’s experiences with a new justice system in Chicago also historicizes the dynamic and necessarily adaptable nature of Black life in the urban North. This story about the racialized criminalization of Black children is ultimately a story of the making of race in modern America. I really enjoyed this article and would love more because we indeed live this ourselves. We are at war over here and it’s not just me who thinks it. Its the whole tri-state area due to the boss putting it up for all to see on the freeway apparatus in the lockheed Martin district. It was such a delight because otherwise we would be portrayed as crazy. Crazy for defending our families’ honor. We speak without riddles but we arent acknowledged as anything but property, and that’s by our black counterparts also while they scapegoat. Meanwhile Trump skates on the taxes and reciepts. They don’t like to be called out bitly but I will read the next article on syllabus. What is my Grade and Score for being a fair and honest citizen, or are we doing that anymore?